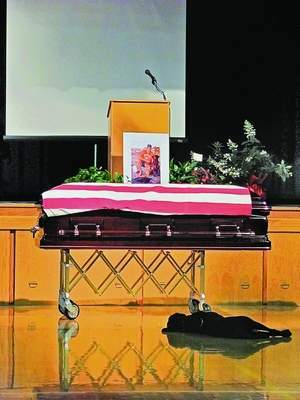 Navy SEAL Petty Officer 1st Class Jon T. Tumilson’s dog, Hawkeye, lies before his master’s casket at Tumilson’s funeral services. 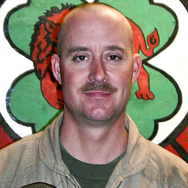 Tumilson was one of 22 Navy SEALs killed along with five soldiers and three airmen when their CH-47 Chinook helicopter was shot down while flying to assist a unit of the 75th Ranger Regiment, which was pinned down by enemy fire in the Tangi Valley, Sayyidabad district, Wardak province, Afghanistan, on August 6, 2011. Seven Afghan soldiers, a civilian interpreter and a military working dog also were killed in the crash. See below for more information on each veteran. Please click the names below to leave memorials for the fallen at CNN’s CASUALTIES. NOTE: Though many online sites, including CNN, list various statistics about each of these fallen troops, I’d like to thank GOOGLE for using the “Details” sections from this page to build an interactive Google map linking each soldier to his or her respective Iowa city. 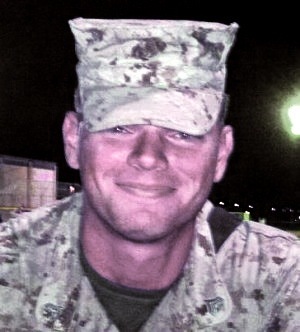 Details: Jason Landphair was one of three military contractors shot to death at the Kabul airport in Afghanistan. The former 172nd Stryker Brigade U.S. Army veteran was hit in the leg by a sniper while deployed to Iraq and earned a Purple Heart. After his recovery he entered training in the U.S. Army Special Forces, where he became a medic. He served three tours in Afghanistan without injury and earned the rank of staff sergeant. Details: One of three Marines killed along with a military working dog when a roadside bomb detonated during combat operations in Helmand province, Afghanistan, on June 20, 2014. 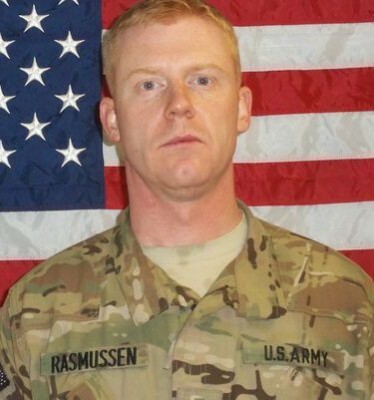 Details: Deric Rasmussen died in Afghanistan on June 20, 2014. He was deployed to Iraq from March 2007 to September 2007 and began his tour in Afghanistan in January 2014. 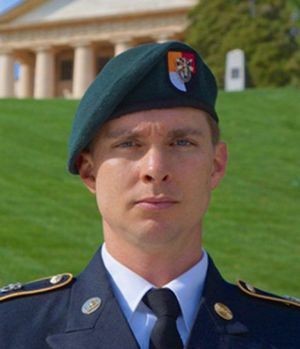 Details: Blass was one of five soldiers killed when their UH-60 Black Hawk helicopter crashed during a rain storm in the Daman district of Kandahar province, Afghanistan, on March 11, 2013. There was no enemy activity in the area at the time of the incident, according to a statement by the International Security Assistance Force. Details: One of two soldiers killed when enemy forces attacked their unit with an improvised explosive device and small-arms fire in Paktika province, Afghanistan, on November 16, 2012. Unit: 5th Battalion, 20th Infantry Regiment, 3rd Stryker Brigade Combat Team, 2nd Infantry Division, Joint Base Lewis-McChord, Wash. Details: Killed July 13, 2012, after his vehicle was hit by an improvised explosive device in Zabul Province in Afghanistan. 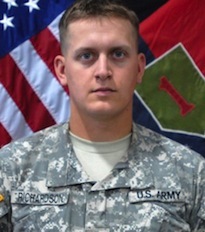 Details: One of two soldiers killed when a roadside bomb detonated near their vehicle in Maidan Shahr, Wardak province, Afghanistan, on June 27, 2012. Details: One of six Marines killed when their CH-53D Sea Stallion transport helicopter crashed in Helmand province, Afghanistan, on January 19, 2012. The cause of the crash is under investigation, but initial reporting indicates there was no enemy activity in the area at the time of the crash. Details: Died on November 21, 2011, at Landstuhl Regional Medical Center in Landstuhl, Germany, of wounds suffered when a roadside bomb detonated during a foot patrol in Helmand province, Afghanistan, on November 18. One of 22 Navy SEALs killed along with five soldiers and three airmen when their CH-47 Chinook helicopter was shot down while flying to assist a unit of the 75th Ranger Regiment that was pinned down by enemy fire in the Tangi Valley, Sayyidabad district, Wardak province, Afghanistan, on August 6, 2011. Seven Afghan soldiers, a civilian interpreter and a military working dog also were killed in the crash. Details: Sgt. 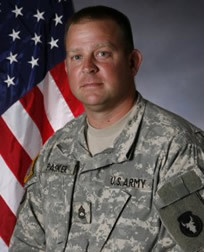 1st Class Terryl L. Pasker, 39, of Cedar Rapids, died Saturday morning, July 9, in Afghanistan, when enemy forces attacked his unit with small arms fire. 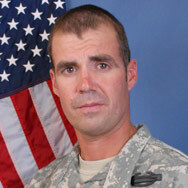 The Iowa National Guard reported that Pasker was killed by an Afghan National Directorate Security officer during a mounted patrol. 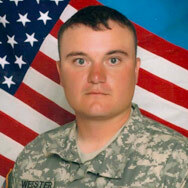 One of three soldiers killed when enemy forces attacked their unit with indirect fire in Badrah, Iraq, on June 29, 2011. 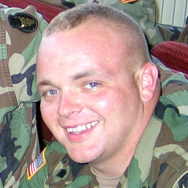 Nielson was serving his first tour in Iraq. Details: Sgt. 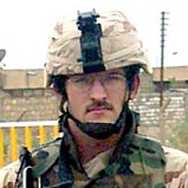 Robert Briggs died June 28, 2011, from injuries received April 16, 2005 in Iraq. Details: One of two airmen killed along with six soldiers when enemy forces attacked their unit with a roadside bomb in the Shorabak district of Kandahar province, Afghanistan, on May 26, 2011. 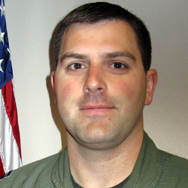 Joseph Hamski graduated from Ottumwa High School in 2001 and briefly attended Iowa State University before joining the Air Force. He is survived by his wife, Air Force Staff Sgt. Maria Christina Hamski, and his mother, two sisters and brother. Details: Killed when insurgents attacked his unit with small-arms fire during rescue operations of a U.S. Army OH-58 Kiowa Warrior helicopter crew who were injured when their aircraft made a hard landing in the Alah Say district of Kapisa province, Afghanistan, on April 23, 2011. Details: Died of wounds suffered when his Mine-Resistant Ambush-Protected All-Terrain Vehicle struck a roadside bomb in the Mehtar Lam district of Laghman province, Afghanistan, on April 13, 2011. Details: Killed when the Mine-Resistant Ambush-Protected vehicle in which he was the gunner was struck by a roadside bomb during a mounted patrol in Paktia province, Afghanistan, on April 11, 2011. Details: Craig deployed to Afghanistan in November 2010 and was diagnosed with cancer while in country. He was evacuated back to the United States, where he died of the illness at the National Naval Medical Center in Bethesda, Maryland, on March 4, 2011. Details: Wisniewski died July 2, 2010, at the National Naval Medical Center in Bethesda, Maryland, of wounds sustained when his HH-60G Pave Hawk rescue helicopter was shot down near Forward Operating Base Jackson in Helmand province, Afghanistan, on June 9, 2010. 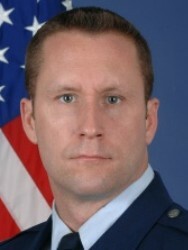 Four other airmen also were killed in the crash. Unit: D Troop, 1st Squadron, 14th Cavalry Regiment, 3rd Stryker Brigade Combat Team, 2nd Infantry Division, Joint Base Lewis-McChord, Wash. Details: Died of injuries sustained from a non-combat related incident in Baquba, Iraq, on June 15, 2010. Opat grew up in Lime Springs and went to Iowa Lakes Community School in Emmetsburg before enlisting in Spencer. He is survived by his parents, two sisters and three brothers. 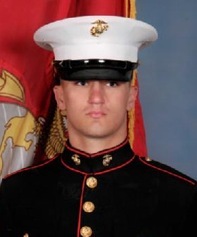 Details: A U.S. Marine from Perry, Iowa, Lance Corporal Joshua Davis was killed May 7, 2010, while fighting in the Helmand province of southern Afghanistan with the 1st Battalion, 2nd Marine Division. 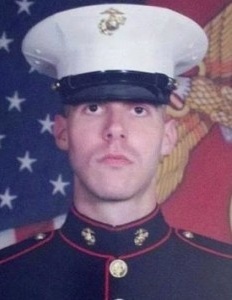 Josh is the 75th person with Iowa ties to die in Afghanistan or Iraq since the war began in 2003. Details: Command Sgt. 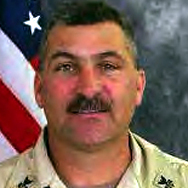 Maj. John K. Laborde, 53, from Waterloo, Iowa, died of injuries sustained from a non-combat related incident at Kandahar Air Field, Afghanistan, on April 22, 2010. 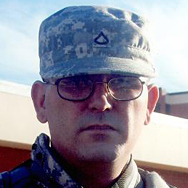 Laborde served with the 649th Regional Support Group, Army Reserve. Details: Capt. 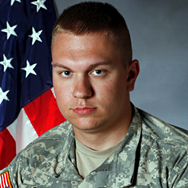 Daniel Whitten, 28, of Grimes, Iowa, was one of two soldiers killed when enemy forces attacked their vehicle with a roadside bomb in Zabul province, Afghanistan, on February 2, 2010. Details: Died after being shot while on a dismounted patrol near Kirkuk, Iraq, on April 25, 2009. He leaves behind a wife, Jessica, and three children. 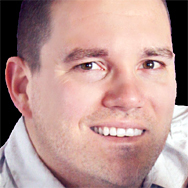 Webster was a 1999 graduate of Hartley-Melvin Sanborn High School. Unit: 2nd Battalion, 130th Infantry Regiment, 33rd Infantry Brigade Combat Team, Effingham, Ill. 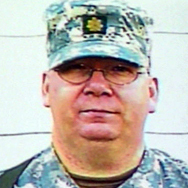 Details: Illinois National Guard Sgt. Scott B. 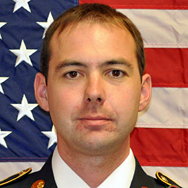 Stream, 39, of Mattoon, Ill., was among four soldiers killed Feb. 24, 2009, when a roadside bomb exploded near their vehicle in Kandahar, Afghanistan. Stream grew up in southeast Iowa and graduated in 1987 from Davis County High School in Bloomfield. He was assigned to the 2nd Battalion, 130th Infantry Regiment, 33rd Infantry Brigade Combat Team, Effingham, Ill. 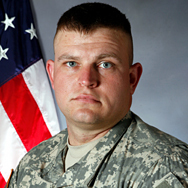 Details: One of two soldiers killed when their vehicle encountered a roadside bomb in the Korengal Valley, Afghanistan, on September 20, 2008. He was with Viper Company, 1st Battalion, of Fort Hood, Texas. Details: Marine Lance Cpl. 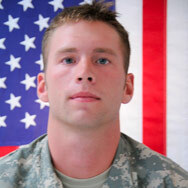 Cody Wanken, 20, of Hampton, died April 2, 2008, after being wounded in Iraq in September 2007. Unit: Company A, 3rd Battalion, 3rd Special Forces Group Airborne, which was based in Fort Bragg, N.C. Details: Army Staff Sgt. 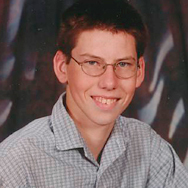 Robert J. Miller, 24, a former University of Iowa student and Iowa City resident, was killed on Jan. 25, 2008. He was serving in the Army special forces in Barikowt, Afghanistan. 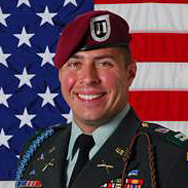 He was assigned to Company A, 3rd Battalion, 3rd Special Forces Group Airborne, which was based in Fort Bragg, N.C. Details: Army Sgt. 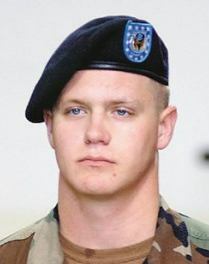 Adrian Hike, 26, of Callender, Iowa, was one of two soldiers killed while on patrol when the vehicle they were in was struck by a roadside bomb in Bermel, Paktika province, Afghanistan on November 12, 2007. He was serving as a paratrooper for the 173rd Airborne based in Germany. Details: Army Sgt. 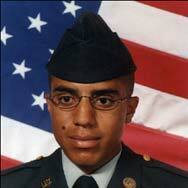 Joseph B. Milledge, 23, who grew up in Glenwood, died Oct. 5, 2007, when a roadside bomb exploded in Baghdad, Iraq. He was assigned to the 3rd Squadron of the U.S. Army’s 2nd Stryker Cavalry Regiment, based in Vilseck, Germany. Details: Army Sgt. 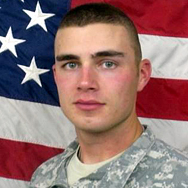 Kevin Gilbertson, 25, of Cedar Rapids died Aug. 31, 2007, after getting shot in Ramadi, Iraq, two days earlier. He served with the 1st Battalion, 77th Armor Regiment, 2nd Brigade Combat Team, 1st Infantry Division, based in Scheweinfurt, Germany. Details: Army Sgt. 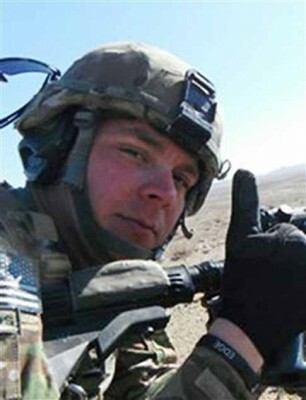 1st Class Scott Carney, 37, of Ankeny, died Aug. 24, 2007, when the Humvee in which he was a passenger rolled during a convoy operation near Herat, Afghanistan. 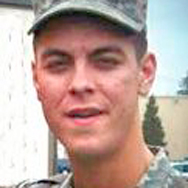 Carney and a soldier from Ohio died in the accident. 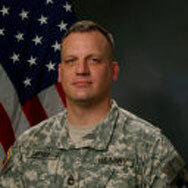 Carney was assigned to the Iowa National Guard’s 2nd Brigade Combat Team, 34th Infantry Division in Boone. Marine Sgt. 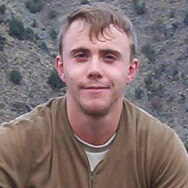 Jon Edward Bonnell Jr.
Unit: 1st Battalion, 11th Marine Regiment, 1st Marine Division, I Marine Expeditionary Force, based in Camp Pendleton, Calif. Details: Marine Sgt. 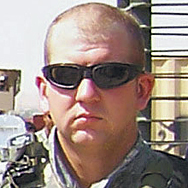 Jon Bonnell Jr., 22, of Fort Dodge, died in an explosion Aug. 7, 2007, in Al Anbar, Iraq. He was assigned to the 1st Battalion, 11th Marine Regiment, 1st Marine Division, I Marine Expeditionary Force, based in Camp Pendleton, Calif. Details: Army Pfc. 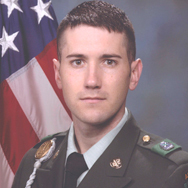 Michael Patrick Pittman, 34, a Davenport native, was killed in an explosion June 15, 2007, in Baghdad, Iraq, when insurgents attacked his unit using an improvised explosive device and small arms fire. Pittman was a member of the 1/4 Calvary Regiment based at Fort Riley, Kan.
Unit: Battery B of the 5th Battalion, 5th Air Defense Artillery Regiment at Fort Lewis, Wash. Details: Army Cpl. Llythaniele Fender, 21, a 2004 graduate of West Monona High School in Onawa, was killed June 10, 2007, in an explosion in Karbala, Iraq. He was assigned to Battery B of the 5th Battalion, 5th Air Defense Artillery Regiment at Fort Lewis, Wash. Details: Army Spc. 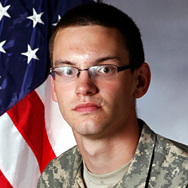 David W. Behrle, 20, of Tipton, was killed May 19, 2007, in a roadside bombing in Baghdad. He was among six soldiers who died in the explosion. All six were assigned to the 1st Battalion, 5th Cavalry Regiment, 2nd Brigade Combat Team, 1st Cavalry Division based at Fort Hood, Texas. Details: Army Pfc. 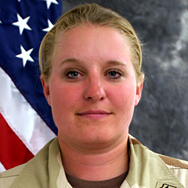 Katie Soenksen, 19, of Davenport, was killed in an explosion May 2, 2007, in Baghdad while conducting a security mission. She was part of the 410 Military Police based in Fort Hood, Texas. Details: Army Pfc. 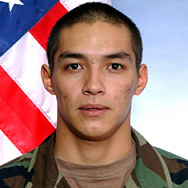 Brian A. Botello, 19, of Alta, was killed during combat operations April 29, 2007, in Baghdad. He was one of three soldiers with the 3rd Squadron, 61st Cavalry Regiment, 2nd Brigade Combat Team, 2nd Infantry Division, of Fort Carson, Colo., who were killed in the explosion. Details: Spc. Travis Vaughn, of Reinbeck, Iowa, was one of seven soldiers killed along with an airman when their MH-47 Chinook helicopter accidentally crashed in the Shahjoi district of Zabul province, Afghanistan, on Feb. 18, 2007. The military said the Chinook was carrying 22 U.S. service members. Fourteen people on board survived. Details: Army Reserve Spc. 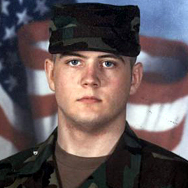 Stephen D. Shannon, 21, of Guttenberg, died Jan. 31, 2007, as a result of hostile action in Iraq. He was a combat engineer with the C Company, 397th Engineer Battalion, in Wausau, Wis. Details: Command Sgt. 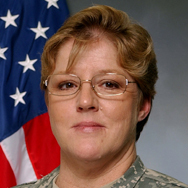 Maj. Marilyn L. Gabbard, 46, of Polk City, died Jan. 20, 2007, in the crash of a UH-60 Black Hawk helicopter that killed 11 other soldiers northeast of Baghdad. 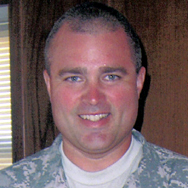 Gabbard, a member of the Iowa Army National Guard, served as the noncommissioned officer in charge of the National Guard Affairs Team in Baghdad. Details: Army Cpl. Jonathan E. Schiller, 20, of Ottumwa, was killed Dec. 31, 2006, when a bomb detonated near his Humvee while on combat patrol in Baqubah, Iraq. Schiller was assigned to the 215th Brigade Support Battalion, 3rd Heavy Brigade Combat Team, 1st Cavalry Division at Fort Hood, Texas. Details: Sgt. 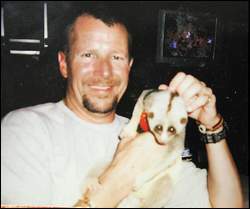 Michael D. Smith, 41, of Bettendorf died Dec. 18, 2006, in Washington, D.C., of injuries he received while serving in Iraq in 2003. Unit: Marine Wing Support Squadron 373, Marine Wing Support Group 37, 3rd Marine Aircraft Wing, I Marine Expeditionary Force, Marine Corps Air Station Miramar, Calif. Details: Marine Lance Cpl. Clinton J. 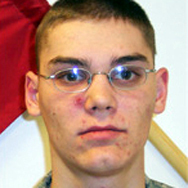 “C.J.” Miller, 23, of Greenfield, died Dec. 11, 2006, while conducting combat operations in the Al Anbar province in Iraq. Two other Marines were killed. They were assigned to the Marine Wing Support Squadron 373, Marine Wing Support Group 37, 3rd Marine Aircraft Wing, I Marine Expeditionary Force, Marine Corps Air Station Miramar, Calif. Details: Army Sgt. James Paul Musack, 23, of Riverside, was killed Nov. 21, 2006, in what the military called a non-combat related incident in Samarra, Iraq. He was assigned to the 7th Squadron, 10th Cavalry Regiment, 1st Brigade Combat Team, 4th Infantry Division, Fort Hood, Texas. 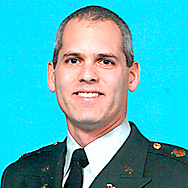 Details: Lt. Col. Paul Finken, 40, of Earling, died Nov. 2, 2006, when a roadside bomb exploded near his vehicle in Iraq. He was among three soldiers killed in an attack in Baghdad. Finken was based with the 4th Brigade Combat Team, 101st Airborne Division at Fort Campbell, Ky. He was an infantry officer assigned to Headquarters and Headquarters Company, 506th Infantry Regiment. Details: Staff Sgt. 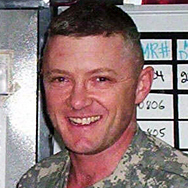 Scott E. Nisely, 48, of Marshalltown, died Sept. 30, 2006, when his unit came under small arms fire from insurgents near Al Asad, Iraq. He was a member of Iowa National Guard Company C, 1st Battalion 133rd Infantry, in Iowa Falls. Details: Spc. Kampha B. Sourivong, 20, of Iowa City, was one of two soldiers killed by small arms fire while operating near Al Asad, Anbar province, Iraq, on September 30, 2006. He was a member of Iowa National Guard Company C, 1st Battalion 133rd Infantry, in Iowa Falls. Details: Army Pfc. 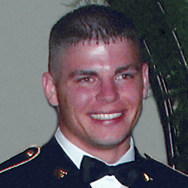 William E. Thorne, 26, of Hospers, died Aug. 24, 2006, when his Humvee was hit by a roadside bomb in Baghdad. He was a member of the 4th Infantry Division based in Fort Hood, Texas. 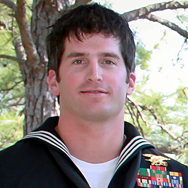 Details: Petty Officer 1st Class Jerry Allen Tharp was killed when his dismounted patrol was struck by a roadside bomb while operating in Anbar province, Iraq, on July 12, 2006. Unit: Naval Mobile Construction Battalion 25, based in Fort McCoy, Wis. Details: Navy Petty Officer 2nd Class Jamie S. Jaenke, a native of Iowa Falls, was one of two soldiers killed when their Humvee struck a roadside bomb southwest of Anah in Anbar province, Iraq, on June 5, 2006. She was assigned to the Naval Mobile Construction Battalion 25, based in Fort McCoy, Wis. Details: Marine Lance Cpl. 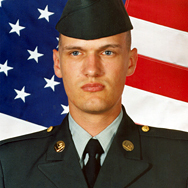 William Leusink, 21, of Maurice, was killed May 22, 2006, in a roadside bombing in Al Anbar province northwest of Baghdad. He was a member of the 3rd Battalion, 3rd Marine Regiment, 3rd Marine Division, III Marine Expeditionary Force, based at Kaneohe, Hawaii. Details: Army Staff Sgt. 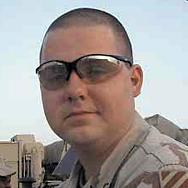 Mark Wall, 27, of Alden, died April 27, 2006, in Iraq from a non combat-related illness. Wall suffered a cardiac arrest in the dining facility of his base in Mosul. He was assigned to the 172nd Stryker Brigade Combat Team and was stationed at Fort Wainwright, Alaska. Details: Iowa Army National Guard Sgt. 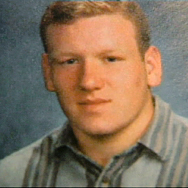 Daniel Sesker, 22, of Ogden, was killed April 6, 2006, when his Humvee was hit by a roadside bomb outside Tikrit in Iraq. Sesker was assigned to the Le Mars-based Troop C, 1st Squadron, 113th Cavalry, which performs reconnaissance and surveillance missions. Details: Army Cpl. 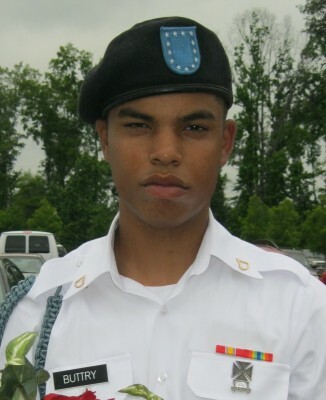 Antoine McKinzie, 25, of Indianapolis, died March 21, 2006, on a combat security patrol in Baghdad. McKinzie, a native of Des Moines, was a member of the 4th Infantry Division. Details: Maj. Stuart Anderson, 44, of Peosta, died Jan. 7, 2006, in a helicopter crash that killed seven other U.S. soldiers and four civilians in Iraq. 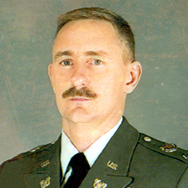 Anderson was a member of the Army Reserve’s 3rd Corps Support Command in Des Moines. Details: Sgt. 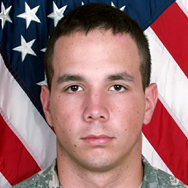 Nathan Field, 23, of Lehigh, died Jan. 7, 2006, when his Humvee was hit by a civilian vehicle in southern Iraq. 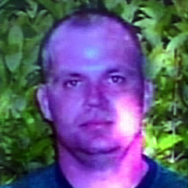 He was a member of the Army Reserve’s 4249th Port Security Company in Pocahontas. Details: Army Reserve 1st Sgt. 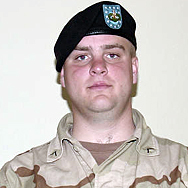 Tobias C. Meister, 30, of Jenks, Okla., died Dec. 28, 2005, by a roadside bomb while on patrol south of Asadabad, Afghanistan. Meister, a native of Remsen, was part of the Sand Springs-based 486th Civil Affairs Battalion and was assigned to the Army Reserve’s 321st Civil Affairs Brigade based in San Antonio, Texas. Details: Iowa National Guard Spc. 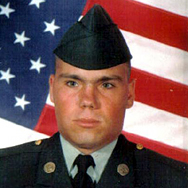 Gregory L. Tull, 20, of Pocahontas, died Nov. 25, 2005, when his Humvee was hit by a roadside bomb near Hit, Iraq. He was assigned to Detachment 1, Headquarters and Headquarters Battery, 1st Battalion, 194th Field Artillery, based in Storm Lake. Details: Army Spc. Dustin A. Yancey, 22, formerly of Cedar Rapids, was killed Nov. 4, 2005, in Baghdad when a bomb exploded near the Humvee he was driving. He served in the 26th Forward Support Battalion, 2nd Brigade, 3rd Infantry Division. Unit: Worked for Kellogg, Brown and Root, a subsidiary of Halliburton, for about a year in Iraq, driving semitrailer trucks to deliver supplies such as concrete, gas or food. Details: Keven Dagit was killed in Iraq on September 20, 2005, when the semitrailer he was driving was attacked by insurgents. Details: Army Pfc. 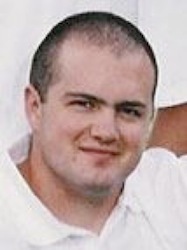 Eric P. Woods, 26, formerly of Urbandale, died July 9, 2005, in an explosion when he stopped to help a wounded soldier on the side of the road in Iraq. Wood, a medic who moved to Omaha, Neb., was a member of a member of G Troop, 2nd Squadron of the 3rd Armored Cavalry Regiment, based at Fort Carson. Details: Spc. 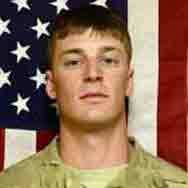 Casey Byers, 22, of Schleswig, died June 11, 2005, south of Ramadi. He was on foot patrol near a Humvee that was part of a convoy of 25 vehicles searching for roadside bombs and insurgents when a bomb exploded directly underneath the Humvee. He was a member of Company B 224th Engineering Battalion, based in Ottumwa. Details: Army Spc. 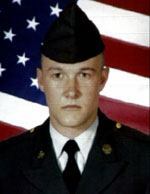 David Lee Rice, 22, of Sioux City, died April 26, 2005, when the Humvee he was in rolled over after being hit a rocket-propelled grenade Muqdadiyah, Iraq. Rice, who was on his second tour of duty in Iraq, was a fire support specialist with the U.S. Army, based at Fort Riley, Kan. Details: Robert J. 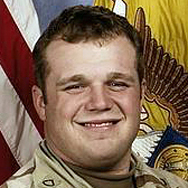 “Jason” Gore, 23, of Nevada, IA, was among 11 people killed when the civilian helicopter in which he was a passenger was shot down while enroute from Baghdad to Tikrit, Iraq on April 21, 2005, during a diplomatic security mission. Gore was a member of the Iowa National Guard’s 186th Military Police Company, based at Camp Dodge, but was on inactive status as he performed a six-month tour of duty as a security officer for Blackwater USA, a civilian security company. Details: Spc. John W. Miller, 21, of West Burlington, died April 12, 2005, in Ramadi, Iraq, when he was shot by a sniper while providing security for route clearing operations. 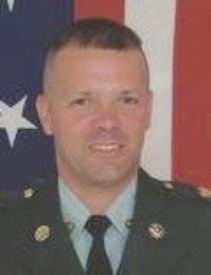 He was a member of the Iowa Army National Guard Company A 224th Engineer Battalion, based in Burlington. Details: Army Staff Sgt. 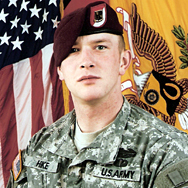 Shane Koele, 25, of Hartley, died March 16, 2005, from injuries when a land mine exploded near his Humvee in Shindand, Afghanistan. Koele served with the 212th Military Police Company, Kitzingen, Germany. Staff Sgt. Donald Delbert Griffith Jr. Details: Army Sgt. 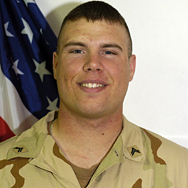 Donald Griffith Jr., 29, died March 11, 2005, in Telefar, Iraq, during a suicide bombing incident. 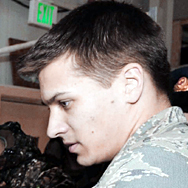 He was stationed in Fort Lewis, Wash., and was a member of secret operations. His family is from Mechanicsville. Details: Sgt. 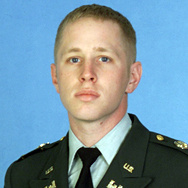 Seth K. Garceau, 27, of Oelwein, died March 4, 2005, at Landstuhl Regional Medical Center in Landstuhl, Germany, of injuries sustained when his up-armored Humvee was struck by a roadside bomb while traveling between Karbala and Ramadi, Iraq, on February 27. Garceau was with the Iowa Army National Guard, Company A, 224th Engineer Battalion, 155th Brigade Combat Team. Details: 2nd Lt. Richard Brian Gienau, 29, of Peoria, Ill., killed Feb. 27, 2005, when the Humvee he was riding in was struck by a homemade bomb as it traveled between Karbala and Ramadi. He was a member of the Iowa Army National Guard Company A 224th Engineer Battalion, based in Burlington. Unit: 184th Ordnance Bn, 52nd Ordnance Gp, US Army. He was stationed at Fort Bragg, N.C. Details: Army Sgt. 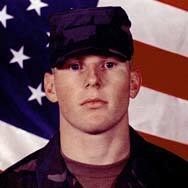 Eric Steffeney, 28, of Waterloo, killed Feb. 23, 2005, when an undetected roadside mine north of Baghdad exploded. He was a member of the Explosive Ordnance Disposal unit. He was stationed at Fort Bragg, N.C.
Unit: Army’s 5th Squadron, 7th Cavalry, 3rd Infantry Division, Fort Stewart, Ga. Details: Army Spc. Dakotah Lee Gooding, 21, of Des Moines, died Feb. 13, 2005, when his Humvee accident near Balad, Iraq, during a combat patrol. He was assigned to the Army’s 5th Squadron, 7th Cavalry, 3rd Infantry Division, Fort Stewart, Ga.
Unit: 1st Battalion, 3rd Marine Regiment, of Kaneohe Bay, Hawaii. Details: Marine Cpl. 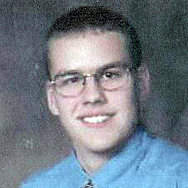 Nathan Schubert, 22, of Cherokee, died Jan. 26, 2005, in a helicopter crash during a sandstorm in western Iraq. Schubert was with the 1st Battalion, 3rd Marine Regiment, of Kaneohe Bay, Hawaii. Unit: 2nd Force Reconnaissance, 2nd Marine Expeditionary Force, of Camp Lejeune, N.C. Details: Sgt. 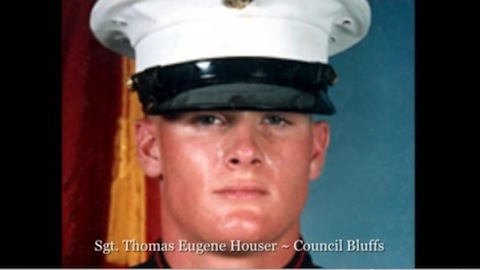 Thomas Houser, 22, of Council Bluffs, killed Jan. 3, 2005, in fighting near Fallujah. Thomas was a member of the 2nd Force Reconnaissance, 2nd Marine Expeditionary Force, of Camp Lejeune, N.C. Details: Spc. 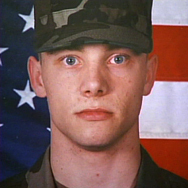 Daryl A. Davis, 20, formerly of Spencer, killed Nov. 29, 2004, while manning a machine-gun turret atop a Humvee escorting a supply company when the vehicle crashed near Kut, Iraq. A former member of the 2168th Transportation Company of the Iowa National Guard based in Sheldon, he transferred to the Florida National Guard’s 144th Transportation Company, 577th Transportation Battalion, Florida Army National Guard, and was mobilized in February. Unit: 1st Battalion, 4th Marine Regiment, 1st Marine Division, I Marine Expeditionary Force, Camp Pendleton, Calif. Details: Cpl. 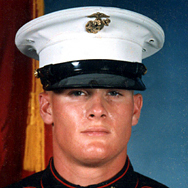 Jarrod L. Maher, 21, of Imogene, killed Nov. 12, 2004, as a result of a non-hostile gunshot wound in Abu Ghraib, a western suburb of Baghdad; assigned to 1st Battalion, 4th Marine Regiment, 1st Marine Division, I Marine Expeditionary Force, Camp Pendleton, Calif. Details: Sgt. James C Kearney, III, 22, of Emerson, died at Forward Operating Base Salerno is Khost province, Afghanistan of wounds sustained when his convoy was attacked by enemy forces using rocket-propelled grenades in Sharana, Paktika province, Afghanistan, on November 1, 2004. Details: Colby died in a semi-tractor rollover near Camp Dodge. His unit was on its way to Fort Sill, Okla., and later deployed to Iraq. Unit: 1st Battalion, 4th Marine Unit, Platoon 1023 out of Camp Pendleton, Calif. Details: Marine Pfc. 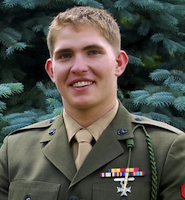 Nick Skinner, 20, of Davenport, killed Aug. 26, 2004, by gunfire in the southern city of Najaf; assigned to the 1st Battalion, 4th Marine Unit, Platoon 1023 out of Camp Pendleton, Calif. Details: Marine Pfc. 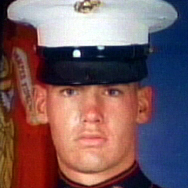 Brandon Sturdy, 19, of Urbandale, killed May 13, 2004, when a homemade bomb blew up near Fallujah, west of Baghdad; assigned to the 2nd Battalion of the 1st Marine Regiment. 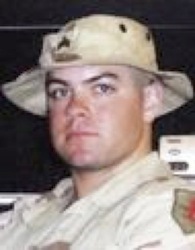 Details: Petty Officer 2nd Class Trace W. Dossett, 37, of Orlando, Fla. and a Wapello native, killed in a mortar attack May 2, 2004, at Camp Fallujah in Al Anbar province west of Baghdad; assigned to the Naval Mobile Construction Battalion 14 out of Jacksonville, Fla.
Unit: 2nd Battalion, 2nd Marines, 2nd Marine Division, II Marine Expeditionary Force, Camp Lejeune, N.C. Details: Cpl. 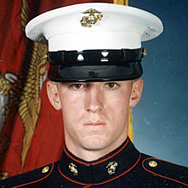 Michael R. Speer, 24, a Kansas native who joined the Marine Corps in Davenport, killed April 9, 2004, in hostile fire in Al Anbar Province, west of Baghdad; assigned to the 2nd Battalion, 2nd Marines, 2nd Marine Division, II Marine Expeditionary Force, Camp Lejeune, N.C.
Unit: 2nd Battalion, 4th Marines, 1st Marine Division, I Marine Expeditionary Force, Camp Pendleton, Calif. Details: Lance Cpl. 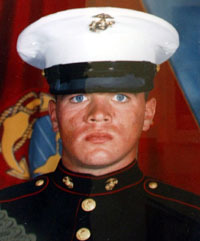 Benjamin Carman, 20, of Jefferson, killed April 6, 2004, in hostile fire in Al Anbar Province, west of Baghdad; assigned to 2nd Battalion, 4th Marines, 1st Marine Division, I Marine Expeditionary Force, Camp Pendleton, Calif. Details: Army Spc. Josh Knowles, 23, of Sheffield, killed Feb. 5, 2004, when his truck was hit by mortar round attack in Baghdad. Details: Army Sgt. 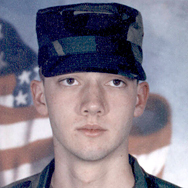 Aaron Sissel, 22, of Tipton, killed Nov. 29, 2003, in an ambush near Husaybah; assigned to the 2133rd Transportation Company of the Iowa National Guard, based in Centerville, Muscatine and Cedar Rapids. Details: Army Pvt. 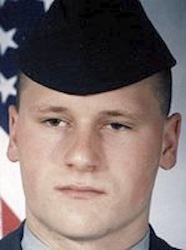 Kurt Frosheiser, 22, Des Moines, killed Nov. 8, 2003, when a Humvee he was riding in ran over a homemade bomb west of Baghdad; assigned to the 1st Armored Division; Baumholder, Germany. Details: Army Sgt. Paul F. Fisher, 39, of Cedar Rapids, died Nov. 6, 2003, at a hospital in Hamburg, Germany, following a Nov. 2 missile attack on a Chinook helicopter near Fallujah. 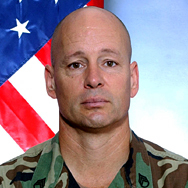 Details: Army Chief Warrant Officer Bruce A. Smith, 41, West Liberty, killed in the Nov. 2, 2003, attack on a Chinook helicopter near Fallujah; assigned to Detachment 1, Company F, 106th Aviation Battalion. Details: Army Pfc. 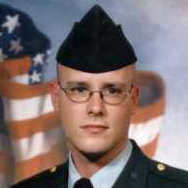 David Kirchhoff, 31, Anamosa, died Aug. 14 after suffering heat stroke Aug. 9, 2003, in Iraq; assigned to the Army National Guard’s 2168th Transportation Company, Cedar Rapids. Details: Army Pvt. 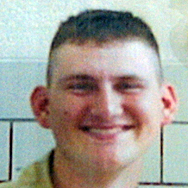 Michael J. Deutsch, 21, of Dubuque, died July 31, 2003, in Baghdad when the armored personnel carrier he was riding in was hit by an explosive round; assigned to Troop C, 1-1 Cavalry. Details: Army Pvt. 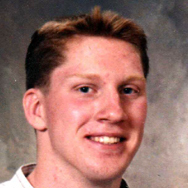 Kenneth A. Nalley, 19, Hamburg, died May 26, 2003, when his Humvee was struck by a heavy truck while escorting a convoy in As Samawah; assigned to the 501st Military Police Company, Wiesbaden, Germany. Marine Gunnery Sgt. Jeffrey Edward Bohr Jr. Details: Marine Gunnery Sgt. 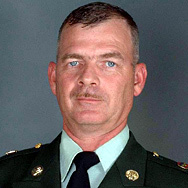 Jeffrey E. Bohr, 39, Ossian, killed April 10, 2003, in a seven-hour battle outside a mosque in downtown Baghdad; assigned to the 1st Battalion, 5th Regiment, Alpha Company of Camp Pendleton, Calif. Details: Marine Sgt. 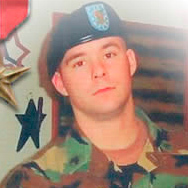 Bradley S. Korthaus, 29, Davenport, drowned March 24, 2003, while trying to cross the Saddam Canal in southeastern Iraq; assigned to the 6th Engineer Support Battalion.